This post continues exploration of ethical issues raised by the numerous carbon cap and trade regimes that have arisen or are under consideration around the world. In the last post, ClimateEthics explained that the purpose of the analysis was not to resolve all the many ethical issues raised by cap and trade but to encourage further exploration of these ethical issues. Thanks to the comments of Robert Sullivan, this post attempts to go deeper on some of the issues raised in the earlier post with the goal of continuing the exploration of the ethics of cap and trade regimes. In the original post, ClimateEthics argued that if the total society-wide cap, before it is allocated among emitters within the jurisdiction of the government allocating the cap, is less than the government’s fair share of safe global emissions, then the cap is not environmentally just particularly to those who are vulnerable to harsh climate change impacts. We also claimed that most existing cap and trade regimes could be accused of being insufficient as a matter of justice. The first issue is justice of the cap. I agree with you that the world is not doing nearly enough to even put us on a pathway to avoiding catastrophic climate change let alone following that path. However, I don’t see a failure of caps being strict enough as an indication of the inherently unethical or unjust nature of cap and trade or emissions trading per se. Without having read any of the references you include on countries’ obligations, I am not sure I agree with the statement “many cap and trade regimes do not derive the quantity of the cap from these international obligations”. There is an international obligation under Article 2 of the UNFCCC to prevent “dangerous anthropogenic interference with the climate system”, and this is further articulated in the QELRCs set out in the Kyoto Protocol (see the first part of Art 2 of the UNFCCC which links into the KP, and also note the clarifying text at the end of Art 2 around also ensuring sustainable development). While I agree that the Kyoto caps are insufficient to meet Art 2 of the UNFCCC over the long term, the Kyoto caps do indeed reflect the most detailed set of international obligations with respect to GHG caps to date. I would argue these are the dominant obligations of countries under public international law, and the cap and trade system set up by the Kyoto Protocol complies with these obligations as does the European Emissions Trading Scheme. However, I also acknowledge that here you may be drawing a distinction between a countries legal obligations under public international law and some other sort of other (ethical?) obligations premised on cuts that are needed to avoid catastrophic climate change and some means of allocating these cuts amongst countries. Whether or not a cap and trade represents a “fair share” is another issue. The caps are the result of political negotiations, and if there was no cap and trade there may still be emission reduction commitments and targets but I don’t think they would necessarily be any fairer simply because they were not linked to cap and trade. If anything developed countries would be less willing to assume steeper cuts, making cap and trade an ethical imperative as the most likely means of achieving the steepest global reductions. Mr. Sullivan probes appropriately about elements of our claim that if the cap is unjust the entire cap and trade regime may be unjust. It appears to us that there are several different questions Mr. Sullivan raises. First, Mr. Sullivan asks what is the basis for our claim that many caps do not meet a nation’s fair share of safe global emissions. Answer, there is a growing scientific consensus that to prevent dangerous climate change the world most likely needs to reduce global emissions by between 25 to 40 per cent by 2020. A rich literature on this issue exists. In citing this literature it is important to acknowledge that because there is uncertainty about climate sensitivity, that is we don’t know for sure how much warming will be experienced at equilibrium from different concentrations of CO 2 equivalent in the atmosphere, various emissions reductions targets are recommended to give different levels of confidence that warming will be limited to additional warming targets such as 1.5 0C or 2 0C. We must also acknowledge that there is great controversy about whether 20C.should be the global warming limit target or 1.50C or even lower temperature should be the target. In addition, it should be recognized that there is no ethically neutral way of making this decision because of the inherent uncertainty in the climate sensitivity coupled with uncertainty about at what temperatures the Earth will experience rapid non-linear responses of the climate system. For this reason, determining a global target raises a host of ethical questions which are beyond the scope of this post. These ethical questions include who should have the burden of proof about what temperature levels are safe and what quantity of proof should satisfy the burden of proof. Nevertheless, there appears to be a growing scientific consensus that 20C should be, at the very minimum. a global warming temperature limit target that should be the goal of the UNFCCC.. However, as we will see, we don’t have to decide this to conclude that current caps are ethically problematic (see below). For a discussion of what reductions are needed to achieve a 20C, see. However, given that global emissions most likely need to be reduced by at least 25% below 1990 levels by 2020 at the very minimum to give any reasonable confidence that the world will avoid rapid non-linear warming, one can conclude that national commitments made pursuant to the Copenhagen Accord will not achieve what is needed to achieve the 25% minimum reductions by 2020 because they just don’t add up to 25% reductions. A fortiori, individual high-emitting nations can be accused of not meeting their fair share of safe global emissions because fairness would require that high-emitting nations would have to achieve lower emissions than what is needed for the globe, yet no high emitting nations have made commitments at a levels which now appear to be necessary to achieve the 20C target for the entire world. For this reason, a strong case can be made that existing caps on high-emitting countries do not achieve what justice would require of high-emitting nations to avoid dangerous climate change to others. Second, Mr. Sullivan appropriately asks ClimateEthics whether given some of the caps that nations have agreed to are now legally recognized by international law such as the Kyoto Protocol, how can we say they are unethical. We would argue that legal validity does not equal ethical sufficiency given that: (a) nations have never claimed that the emissions reductions commitments they have agreed to in accepting a cap represent their fair share of safe global emissions, (b) nations seem to base the legitimacy of their emissions reductions targets on national self-interest not international responsibility, and (c) nations have negotiated the cap that they have accepted on the basis of what was viewed by them to be politically viable. . We, therefore, don’t agree that legal commitments can be construed to satisfy ethical obligations. One could of course argue, that making any legal commitments in a cap is better than no commitments. We would agree. 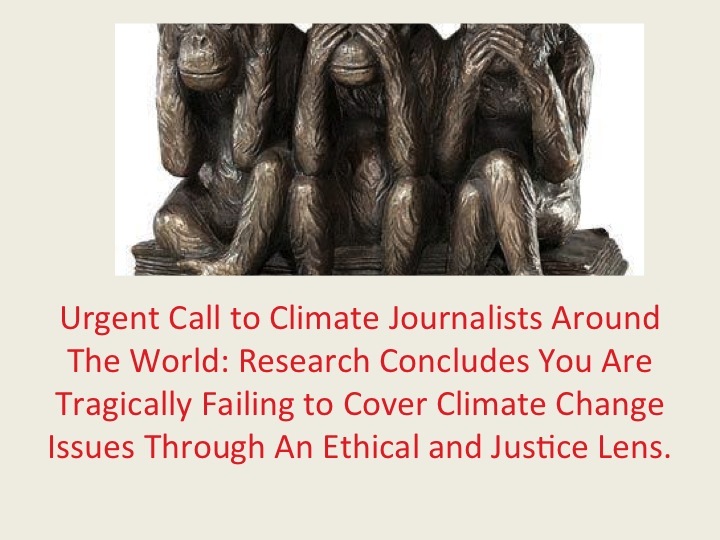 However, ClimateEthics believes it is important to acknowledge that existing caps do not achieve what would be required of nations if they took their ethical responsibilities seriously to reduce their emissions to their fair share of safe global emissions. Along this line, we believe it would be an improvement to require in international negotiations that each government be required to expressly articulate what atmospheric concentrations of ghg emissions their commitments are designed to achieve. No national target makes any sense unless it is seen implicitly as a position on a safe global atmospheric concentration target but nations are not asked to explain what global targets will be achieved by their voluntary targets and why their emissions commitments should be understood to constitute their fair share of total global emissions. Third, we understand Mr. Sullivan to be asking once the cap is agreed in international negotiations, can we claim that the entire cap and trade regime is unjust. We think this question raises interesting ethical issues not yet dealt with. Another way of stating this question is- if the world has agreed to caps in an international agreement, given the agreement how can we say the entire cap and trade regime is unjust. We believe the trade features of cap and trade could lead to seeing the entire scheme as unjust if the cap is unjust for the following reasons. If country A only agrees to a 10% reduction by 2020 when their fair share is 25% for instance, and they actually achieve 15% reduction they can sell the 5% excess tons to country B to be counted against country B’s target. This then creates two injustices. First country A has not achieved its fair target. Second it gets unjust revenues because the cap was set too low. This also gives the buying entity, country B a right to exceed its fair share of safe global emissions because it has bought credits from country A. From the standpoint of a country that is very vulnerable to climate change impacts, the trading scheme is unethical. This post examines ethical issues raised by the cap and trade regimes that have emerged to solve the climate change crisis in the last decade. These regimes have emerged: (1) at the international level under the Kyoto Protocol, (2) at the regional international level including in the European Union and between US states and the Canadian provinces, and (3) at the sub-national level including among Northeastern U.S states. There is also a large voluntary carbon trading market that has emerged around the world that is not the focus of this post although these regimes raise many ethical issues considered here. (a) Emissions Trading (ET) -A mechanism that allows a nation with a Kyoto target to buy d allowances from a country with a Kyoto target that does need all of its allowances. (b) Joint Implementation (JI)-A mechanism that allows project financing by nation with a Kyoto target in another country with a Kyoto target. (c) Clean Development Mechanism (CDM)-A mechanism that allows nations with Kyoto targets to finance projects in developing countries that reduce greenhouse gas emissions. The goal of this post is to spot the major ethical issues raised by carbon cap and trade regimes that have emerged around world, not necessarily to resolve these issues. The purpose of this post is not to resolve all ethical issues entailed by cap and trade regimes but to encourage further ethical reflection about these issues. Cap and trade regimes have in a very short time reached wide support around the world with only very limited ethical reflection on the issues discussed in this chapter. Because uncritical acceptance of these existing regimes may lead to significant injustices and given that there may be opportunity to change and restructure existing regimes in the future, this post is meant to encourage ethical reflection on existing as well as future cap and trade regimes. Although existing cap and trade regimes differ in many of their details, they all have the following common steps. First a government establishes an emission limitation for total emissions from the government’s jurisdiction and then permits or allowances are either given away or auctioned off and in this way create a society-wide “cap.” The cap is expected to be “tightened,” that is, reduced over the years, thus increasing the costs over time of future allowances. The permits allow holders to emit ghgs usually in tons of carbon for a specific period. To enable trading, rules are established that allow those entities with caps to meet their obligations either by purchasing unneeded allowances from others that have caps, funding projects that reduce emissions at places under the control of others, or purchasing off-sets created by carbon reduction projects somewhere in the world. • Trading provides a mechanism for making carbon emissions reductions at lowest possible cost. Because carbon is well mixed in the atmosphere, it doesn’t make any difference where reductions are made in the world to lower future atmospheric concentrations of ghgs. Therefore emitters of carbon can finance inexpensive projects to reduce carbon emissions and apply reductions achieved by these projects against their reduction obligations and in so doing reduce ghg emissions that cause climate change. In this way, cap and trade regimes maximize the efficiency of carbon reductions. And so cap and trade regimes are usually supported on the grounds that they provide the flexibility to achieve the greatest reductions at lowest possible cost. • Cap and trade regimes provide economic benefits to developing countries through CDM credits and other “off-sets” thus helping developing countries economically. • Cap and trade regimes keep high-cost emitters in the political game because they can reduce their emissions at low cost and thereby help minimize political opposition for climate change legislation. b. Allocating Global Commons Resources as Property Rights.